Have you ever stopped to think about why we celebrate Christmas when we do? Because it’s likely that the baby Jesus wasn’t born on December 25th. I believe early church fathers decided to “Christianize” the pagan celebration of Winter Solstice and to give believers something to contemplate and revel in during the shortest days of the year when life seems bleakest. But I’m sure Jesus doesn’t mind when we celebrate His birthday. I think He’s happy that we do. That we give to each other as He gave Himself for us – and let’s not forget the Wise Men. They were the first men to give presents at the birth of a special baby whom the stars had told them would be a great king. They gave gold, frankincense, and myrrh. Mary and Joseph would need the gold for expenses when they fled to Egypt. Frankincense and myrrh were valuable spices and perfumes. Modern day Bethlehem is in the West Bank. You have to go through military checkpoints just to get there. 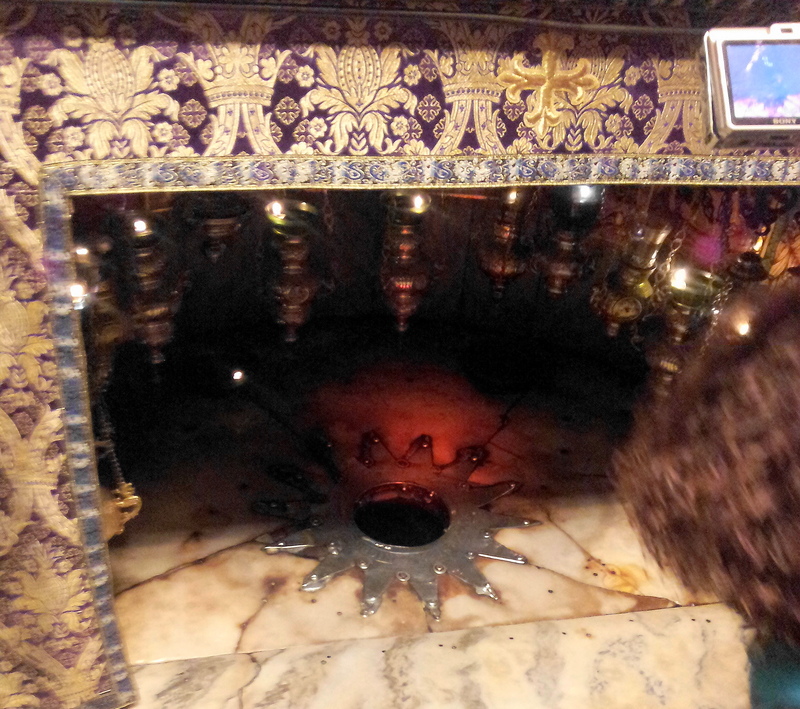 I was at the Church of the Nativity earlier this year, and saw the place where tradition has it that Christ was actually born. Man has beautified the place by memorializing it. But the cave or stable where Jesus was born wasn’t glamorous or beautiful. It was smelly because animals lived there. 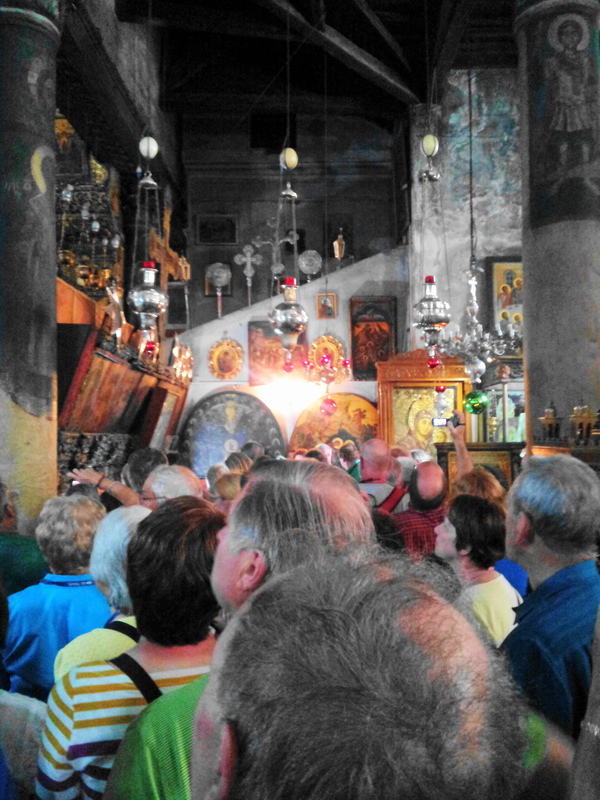 The Greek Orthodox Church and The Catholic Church are allowed to maintain and hold services at the Church of the Nativity. Bethlehem is a modern city with a great tradition. The region is hilly. We had to walk up some fairly steep sidewalk to get the Church of the Nativity. And because it’s such a popular place for tourists, we had to wait over an hour before we were actually allowed in. 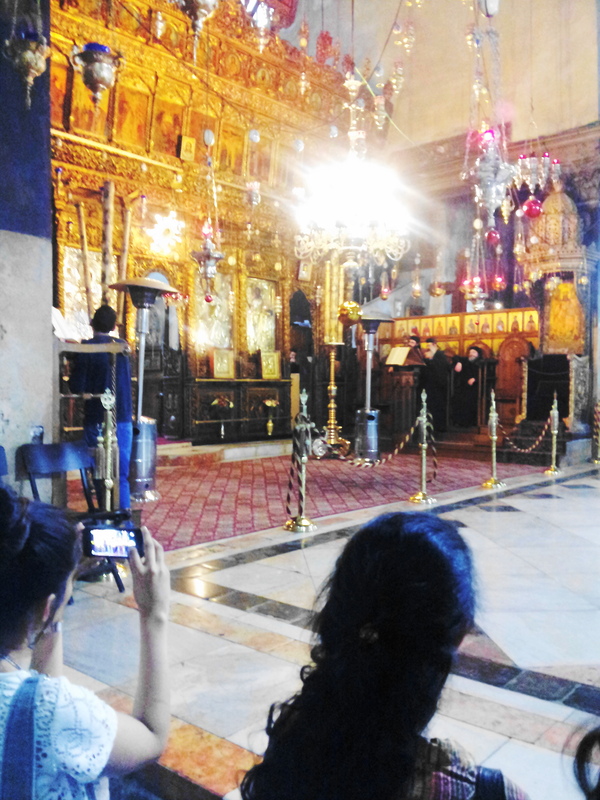 Here are a couple of pictures of the ornate Greek Orthodox sanctuary. I hope you have a blessed and wonderful day.